THANK YOU SUPPORTING YOUR COUNTRY AND OUR JACKSON ATHLETES! Midwest Kettlebell Sport Association is a 501(c)(3) nonprofit organization that was formed with a simple purpose: to promote the growth of world-class kettlebell lifting in the Americas. 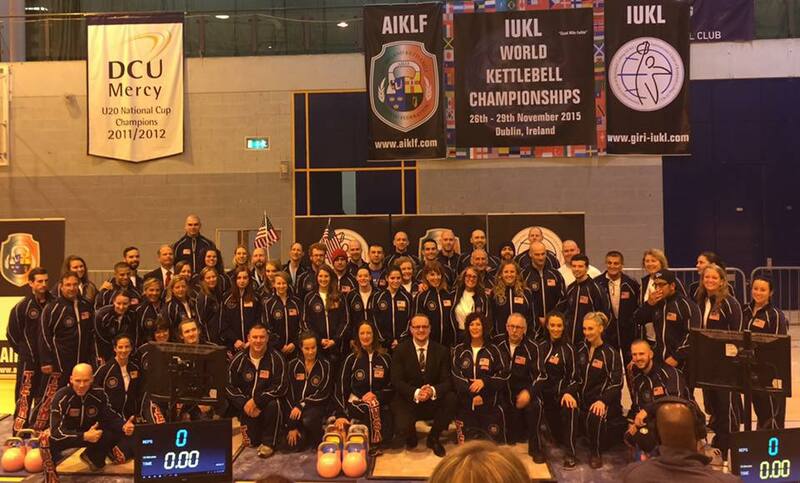 A significant purpose of our charter is to sponsor Team USA which competes internationally at the IUKL world championships held in various locations across the globe. This year the world championship will take place in Seoul, Korea. The purpose of this letter is to ask for your support of our national team and its athletes. Team USA has steadily grown in international rankings, three years ago we placed 5th overall in Hamburg Germany and last year of the 36 countries competing in Dublin Ireland Team USA placed 3rd overall and our “Veteran” division (comprised of lifters 50 years and older) placed second behind Russia. Your financial support will help defray the significant transportation and boarding expenses for our athletes’ travelling to Korea this year. Our campaign's goal is $ 2500.00 per team member. Funds derived from the campaign are tax deductible will be used to entirely to defray athlete expenses; no funds donated will be used administratively. Your donation will be acknowledged in several ways. We will list your organization’s sponsorship on our website www.kettlebellhotspot.com and on any promotional materials we will be wearing for the next calendar year beginning November 20th, 2017. We will also be wearing your logo during any and all national and international events throughout the year. Locally your loco will be presented on our banners for social media also during our live feed at our Regional Competitions. Most of all, we will be proudly wearing your logo on our uniforms as we compete against 47 other countries for the World titles. Your support will help ensure the success of Team USA 2017. We thank you for your consideration of our request! Thank you for your interest in supporting our athletes! We will contact you soon with additional information and options.